Today, January 14, 2015 the Republican-led House of Representatives made their first step toward attempting to dismantle major provisions of Obama’s executive order, an order which will make millions of undocumented immigrant’s eligible for employment authorization and will prioritize deportations based on criminal history. For those who believe all Republicans will be supporting the vote, think again. Many republicans have voiced their concern in the House, fearing that the GOP will have to endure backlash from the immigrant and more liberal population for many years to come. Democrats have said that they will filibuster the bill, while some reluctant Republicans plan on joining the ranks of the opposition. It is very unlikely that there will be enough votes, for the bill to gain momentum, and of course Obama will not be giving his support by signing the bill. The existence of the bill indicates that there is a lack of consensus between Republicans and Democrats as to what comprehensive immigration reform will look like and how far each party is willing to push the envelope. The majority of Republicans simply do not believe the order is within the purview of Obama’s executive powers and do not want the President overstepping his boundaries. The bill however is helpful in that it has stimulated much debate between the parties which is exactly what is needed to bring about bipartisan support for comprehensive immigration reform. 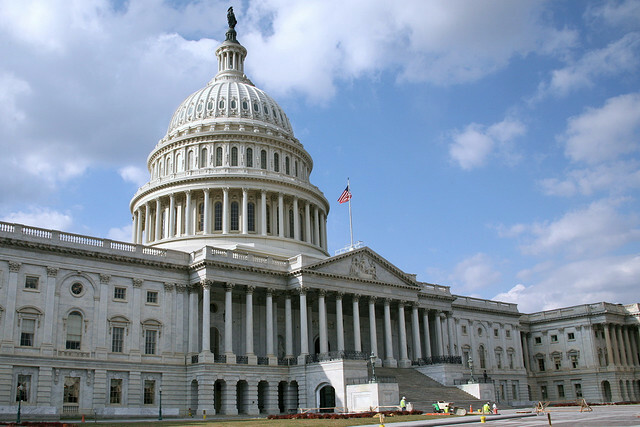 The House will be discussing the budget it will appropriate to the Department of Homeland Security, which will run out of congressional funding at the end of February. Congress can use the power of the purse to their benefit and withhold financing, in opposition of Obama’s executive order. All in all, 26 House Republicans voted in opposition to an amendment that would end Obama’s 2012 executive order which allowed undocumented immigrant children, known as Dreamers, to stay in the country legally. The amendment passed 218 to 209, all votes from Republicans. The funding bill for the Department of Homeland Security passed 236 to 191. Further amendments of the bill are expected. What is clear: Republicans are making their voice heard. We will keep you updated on the final outcome in the coming months.